Looking forward to rocking once again where it all started many years ago! 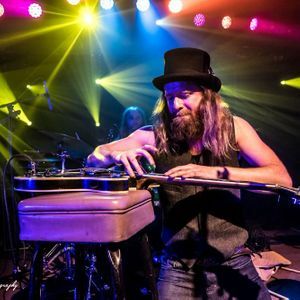 Scott is an emerging force on the festival circuit, with his wild approach to the guitar and nimble funky band he is immediately recognizable and undeniably original. The mastery of his guitar playing combined with the fun recklessness of his songwriting show that the rules of songwriting and playing the guitar no longer exist for him. He doesn’t use a strap, often plays the guitar like someone would play piano and performs with the uninhibited joy and intensity of someone who recognizes that every time we make music is an honor and a gift.